Now, I certainly like me a lot of dessert items. Cookies, Ice Cream, Candies and so on…I like them all. I can’t say if there is one that I like more than another – I like them all equally. One of the dessert items that I have liked for as long as I can remember is the Ice Cream Sandwich. Simple and perfect – ice cream placed gently between two chocolately layers. You can even get crazy and have your ice cream sandwich with chocolate chip cookies. Whatever your fancy may be, I really enjoy a good ol’ ice cream sandwich. When I do decide to purchase ice cream sandwiches for home, it is usually because they are on sale. I don’t have one brand in particular that I like over the other…I simply like the brand that’s on sale. Quite a few years back, I started buying the Klondike Slim a Bear bars for one reason – the ice cream in the sandwich, was chocolate (the fact that they are only 100 calories each may have played a part too…). Schwing! Not only do I get an ice cream sandwich, but, I also get chocolate ice cream! I’m not sure if Klondike still makes these or not but, I can now only find Slim a Bears in vanilla. I purchased a box of Slim a Bears along with Oreo Ice Cream Sandwiches – buy one get one at Ye Olde Publix. After opening the box, I realized the size & shape of the ice bears had been changed. These used to be square and pretty big in size. Now, Klondike has decided to cut corners and make the sandwiches circular and smaller. 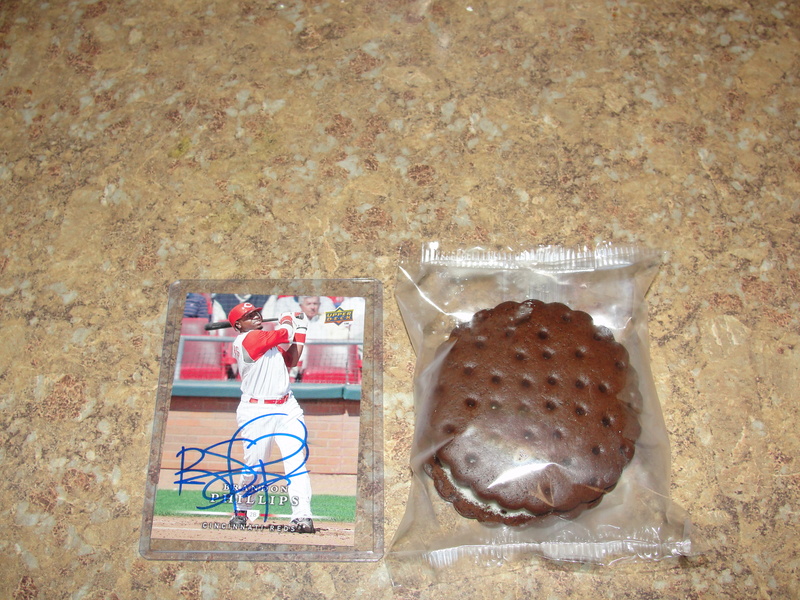 I took a photo of the sandwich next to a baseball card for comparison. Pretty crazy. Plus, they are really pretty thin. I unwrapped my ice cream sandwich and began to eat. While the size and shape had changed, the flavor remained the same. The chocolate layers were rich in chocolate flavor and the consistency was perfect. 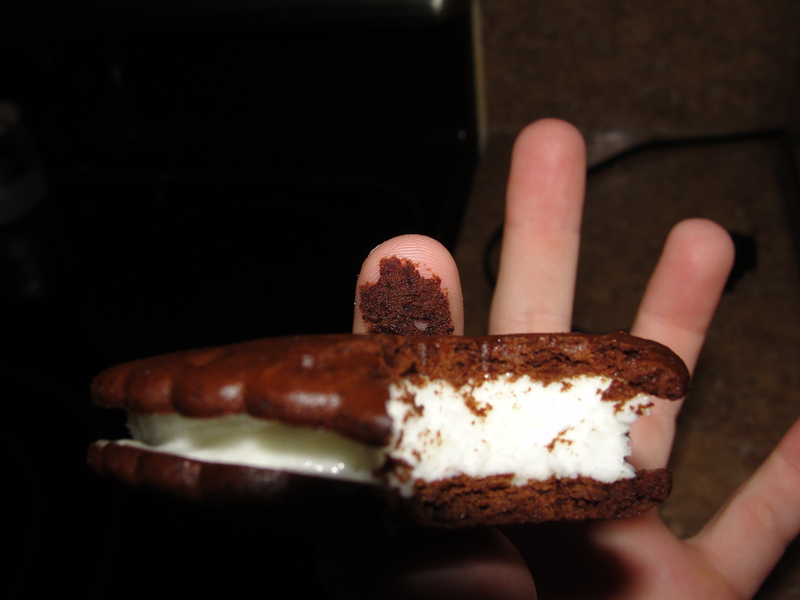 Within a few moments, the chocolate began leaving a layer on my fingers – an absolute must when it comes to ice cream sandwiches. The chocolate was quite tasty and I did feel as if the flavor was worth it. I could taste chocolate – not some chocolate imitation product. 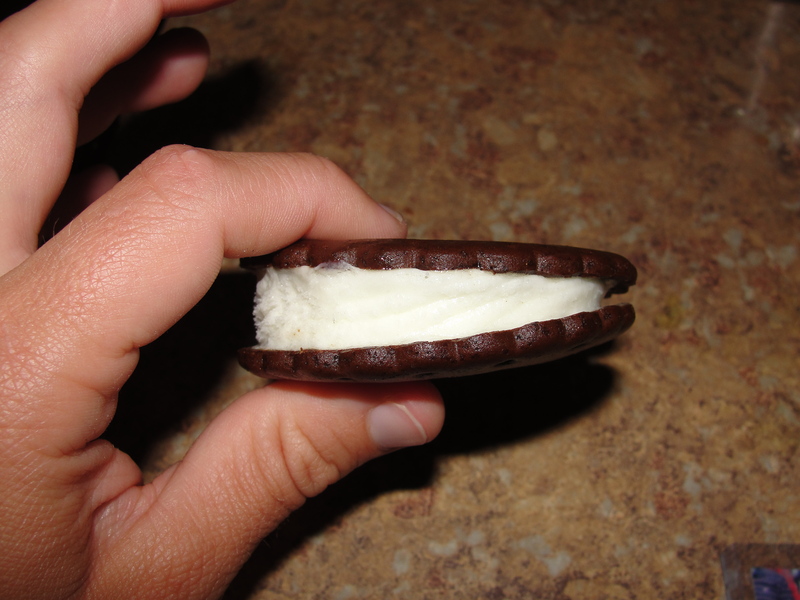 Traditionally, ice cream sandwiches have plenty of ice cream and you have to lick around the sandwich a few times to assure you do not lose any. This is where the Slim a Bear loses points – there is no extra ice cream to lick. The amount of ice cream is pretty sad but, at least it is tasty. While the flavor does not make me feel as if Madagascar Vanilla Beans are jumping in my mouth, it does at least let my mouth know that it is Vanilla. The consistency is also very soft and smooth. I do not run into any ice cream that tastes crystallized or freezer burnt. The ice cream and the chocolate layers play nicely together on this ice cream sandwich. If only there was much ice cream. Or, better yet, if I could still find the sandwiches with chocolate ice cream. I am thankful to Klondike that even though these sandwiches are only 100 calories, the melty chocolate layers still exist. 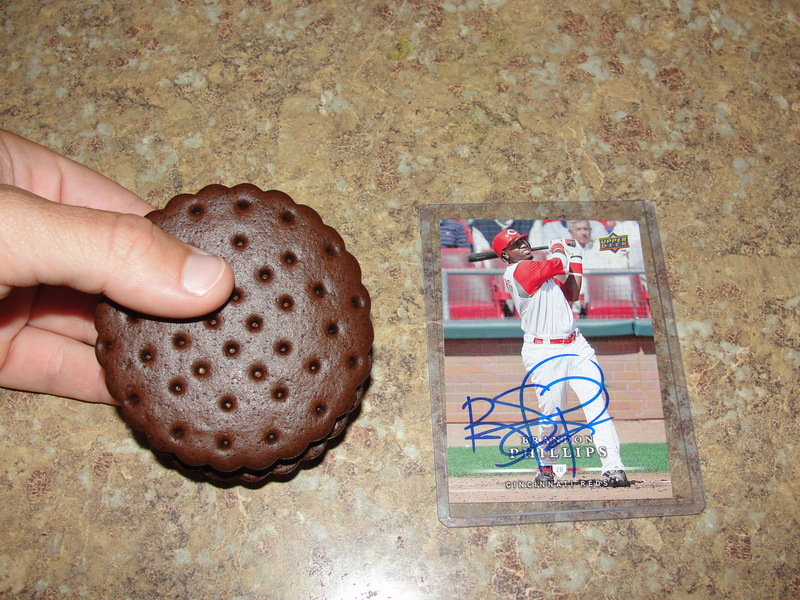 Ice cream sandwiches will always hold a place in my heart and I don’t see myself growing out of them any time soon. These ice cream sandwiches won’t be building me up buttercup but, they will most definitely be Slimming Me Down.